Wooohooo!!! It's finally here! My mom and I are up bright and early and already on our way to Salt Lake City for Convention!!! I can't wait for all of the excitement! If you want to keep up to date on all the happenings in SLC be sure to follow my new Facebook page. Last weekend, I participated in a shoebox swap (everyone brings supplies to make their card and you rotate until you make one of everyone's card) and made this cute card for it. The key to a good shoebox swap card is to keep it simple so you don't have to take a ton of supplies. 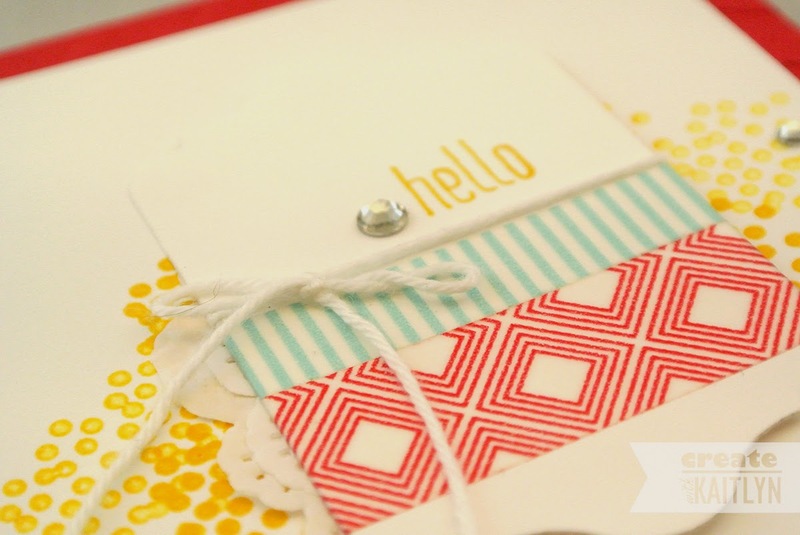 So, this card features one stamp set, Honeycomb Hello, and one ink pad, Crushed Curry. I stamped the confetti-like image multiple times before re-inking it to provide some variation in ink color. I love the new Beach House Washi Tape! 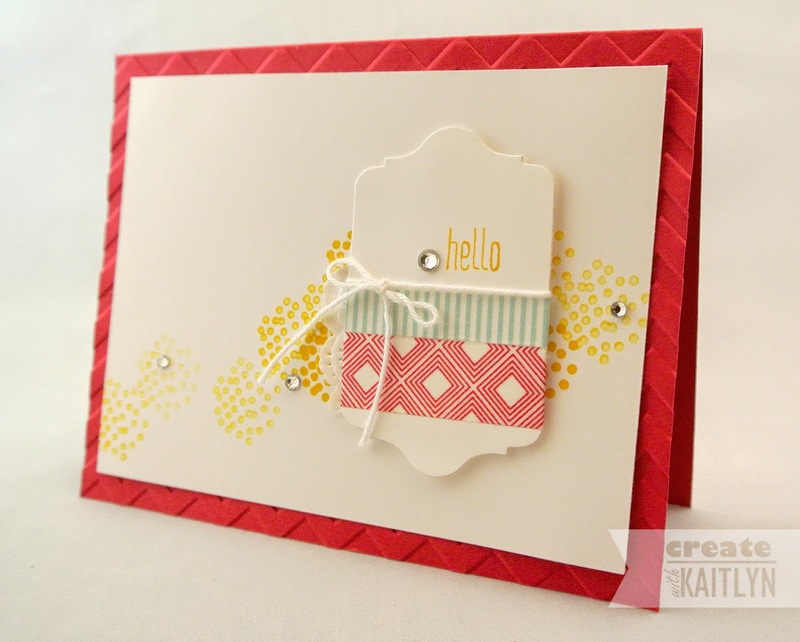 It was such a simple and easy way to add more color and pattern to the card. While the card is simple, the special touches of Doilies, White Baker's Twine, and Rhinestones make the card feel very thoughtful and unique.